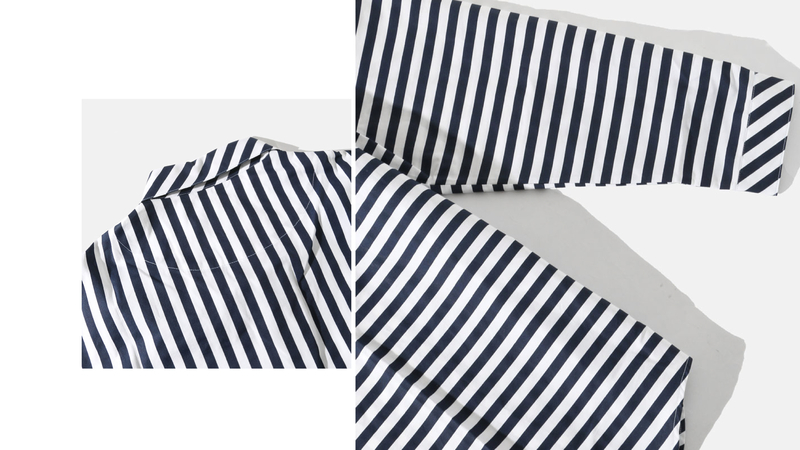 Game changing stripes from Sunnei here. Look at the width. Absolutely spot on. Were that the end of the story it’d be satisfying enough. But it’s not. Some stripes run vertically. Some go horizontally. And on the pocket, they’re diagonal. And you thought this was a slow news day. 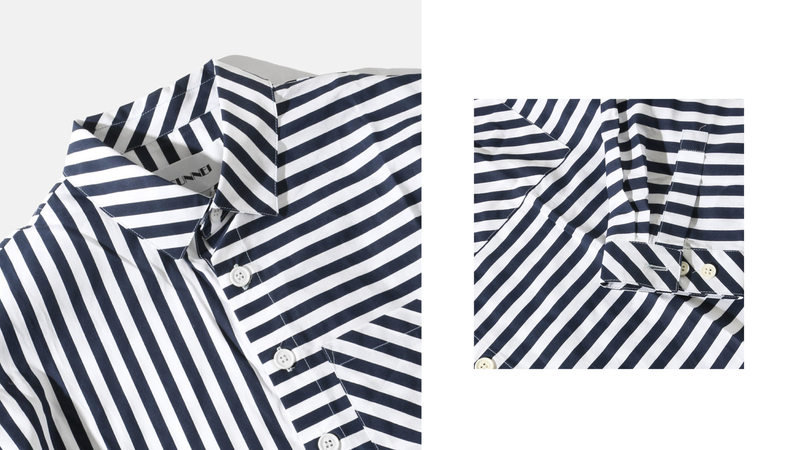 In my experience, wearing a shirt with a bold stripe provokes an entirely predictable turn of events. At some point a friend, a family member or a work acquaintance will say something along the lines of, “what have you come as, a deckchair?” Now the interesting thing is, you’ll notice the comma between ‘as’ and ‘a deckchair’. This is the moment the humorous individual tries to think of something that isn’t a deckchair, something better, something funnier, and can’t, and so says ‘deckchair’. That has happened to me 3,473 in my lifetime. Should I buy this shirt, that number will rise. Don’t get me wrong. I don’t care. To be honest, I get a special pleasure from watching as yet another self-ordained ‘wit’ falls into a bottomless brain-pit and can only be rescued by the word ‘deckchair.’ It certainly won’t prevent me from espousing a weapon of a shirt when I see one. This shirt is so crisp, so very pristine and frankly delightful, you’d have to calm it down a little with some worn jeans, maybe some older, casual shoes. It needs de-powering a fraction, so as to look more relaxed and less showy. To do otherwise risks comparisons with… oh I dunno, something stripy.